Happy first day of October everyone! Surprisingly today was a warm 75 degrees and didn't feel like fall at all but hey I'm not complaining! Fall is defiantly my favorite season along with Halloween being one of my favorite holidays! I thought why not start planning Halloween costumes right now? It's never too early right? Here's some of my favorite DIY costumes that are quite fashionable and affordable at the same time so you'll have an amazing Halloween without having to break the bank! Even if you're not someone who's super creative, these costumes are simple enough to create at home and a lot of these things you'll probably have in your wardrobe. Enjoy! I love Lauren Conrad's website because every year she holds a Halloween contest and shows pictures of costumes that she's created herself. 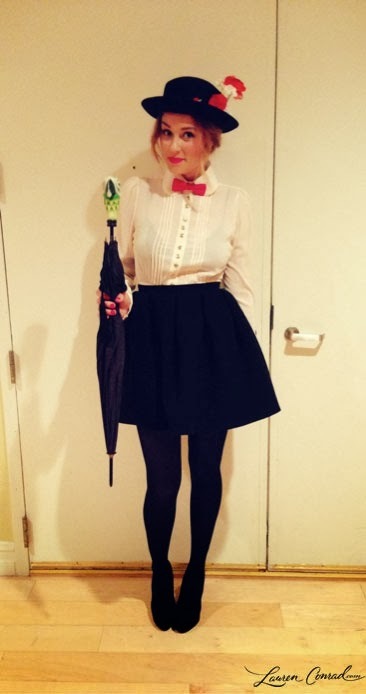 A few years back, I saw her Mary Poppins idea and thought it was super stylish for Halloween! All you need is a white collared shirt, black skirt, red bow tie, black hat with some flowers on it and an umbrella! I love how Lauren's skirt is shorter to give it a more modern look while still making the costume recognizable. Wish I thought of this when I was in high school! Poison Ivy makeup tutorials are everywhere yet I never see too many costumes for it. Kim Kardashian's version of the costume is probably the best one I've seen and so simple to do! She's actually wearing a green corset and a short sarong skirt with hers but if you can find a green dress or even a green tutu for the bottom it would also work! Afterwards, get a variety of green leaves from the craft store and simply use fabric glue or a hot glue gun to attach the pieces onto the clothing. Lastly, a red wig is needed to complete the look and you're all ready to go! 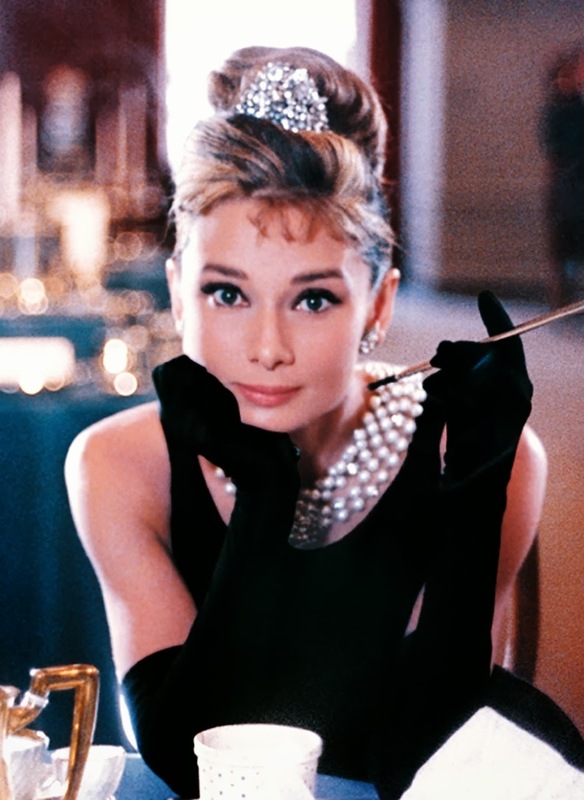 Every Halloween I always see at least one celebrity sporting an Audrey Hepburn costume and it's for a good reason! 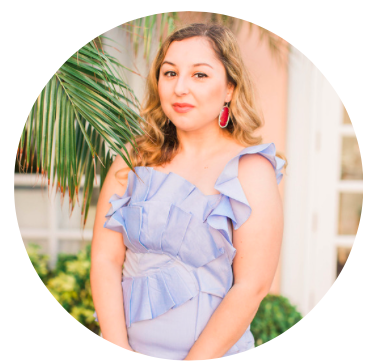 It's such a classic and iconic look and if you're looking for a last minute idea, this would be it! All you need is a black dress, long black gloves, a chunky pearl necklace (or a few wrapped together), a small jeweled crown with your hair up in a high bun and that's it! If you have some ray-bans even better! Back when Ashley Greene first wore this costume, I had never actually seen a peacock costume before so I thought it was very unique! Last year I did see a peacock costume at the Halloween store but it sure wasn't as good as this! She's wearing a black corset but a strapless shirt will do along with a black tutu. From the craft store, get peacock feathers and also black feathers to glue onto the front of the top and to create a peacock headband like she did. 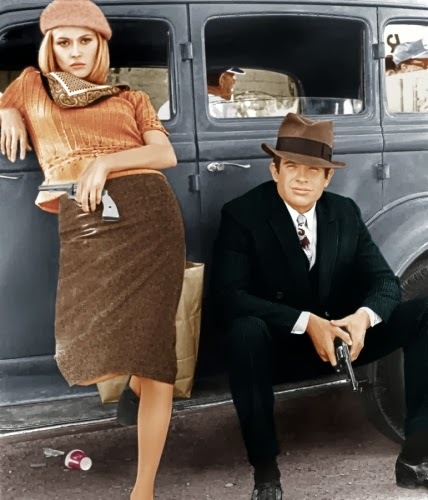 If you feel like doing a couples costume then Bonnie and Clyde is an easy look that makes anyone look classy and sophisticated in seconds! All you need for the Bonnie costume is a pencil skirt, turtleneck, silk scarf and the infamous beret. If it's cold on halloween night, you can always add a trenchcoat to the outfit too since Bonnie was frequently wearing those! I hope you guys enjoyed this post and hopefully got some ideas from it! Creating the costume is half the fun! The other half is doing the makeup for it! Haha.